Because there are no classes in the EWS Managed API to use MailTips so I'm just using Raw SOAP to send the MailTips request and then parse the XML result that comes back. With MailTips you can only request a max of 100 results at a time so there is some code to split the request up in batches of 100 if there are more the 100 entries. $Mailboxes = "$( throw 'Folder Path is a mandatory Parameter' )"
$expRequest = $expRequest + "<Mailbox xmlns=`"http://schemas.microsoft.com/exchange/services/2006/types`"><EmailAddress>$mbMailbox</EmailAddress></Mailbox>"
$expRequest = $expRequest + "</Recipients><MailTipsRequested>All</MailTipsRequested></GetMailTips></soap:Body></soap:Envelope>"
In the past I've posted some examples of creating SearchFolders in Exchange with EWS and Powershell in the following post, in this post I want to cover some more advanced things you can do with EWS and Search Folders. 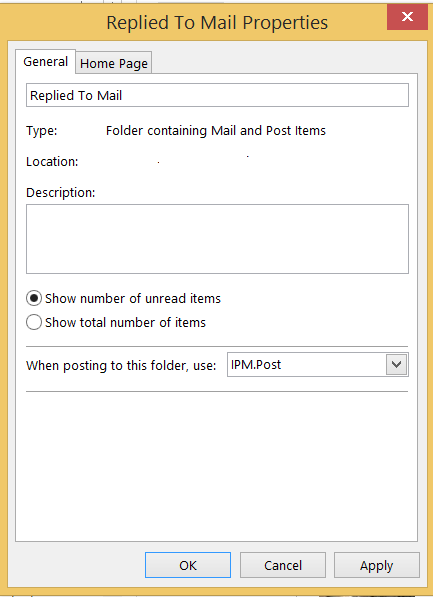 Another interesting Search Folder you can create on 2013/Office365 is using the LatestWordCount property which isn't a documented property but you can use it to produce a SearchFolder of all your wordy emails eg the following would create a SearchFolder of email where this property indicated the word count of the message was greater than 1000 words. I've put a download of this script here the script itself looks like. I've you haven't seen this before Gavin Smyth from Microsoft Research put together this cool VSTO plugin to allow you to send an Email from Outlook that will disable the Reply, ReplyAll and Forward Buttons on the Outlook ribbon http://research.microsoft.com/en-us/projects/researchdesktop/noreplyall.aspx and the how to posts about the VSTO http://blogs.msdn.com/b/gsmyth/archive/2011/09/18/noreply-vsto-add-in-wrap-up.aspx . How this works is it sets the PidLidVerbStream Property on a message which is mostly documented in the http://msdn.microsoft.com/en-us/library/ee218541(v=exchg.80).aspx protocol document. I say mostly because the format you get when using the methods from the NoReply Addin is a little different from the format documented which is for Voting buttons but its good enough to work with. The Verbs that this property refers to are the standard Verbs that MAPI implements which are documented in http://msdn.microsoft.com/en-us/library/office/cc815879(v=office.15).aspx . So to use this same property in an EWS script you can just set it using the Extended Properties, the value you use is a little tricky as only the voteoption format is fully documented. But because this is pretty standard you can cut a past the Hex Values which contains the two streams from this property out of an existing message and then just change the bits that either enables or disable the Verbs for what you want to enable or disable on the Message your sending. So this is what the following script does is allows you to send a message using EWS and set the options to enable and disable each of these verbs. The rest of the script builds the VerbStream value property based on the setting in the custom object and the rest of the script is a standard EWS script to send a message. $VerbSettings = "$( throw 'VerbSettings is a mandatory Parameter' )"